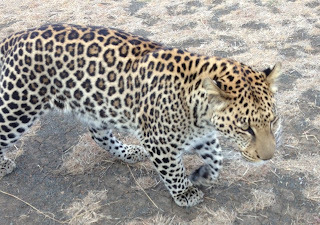 The highlight being a visit to the Le Sueur Cheetah Project situated in the Nambiti Game Reserve near Ladysmith in Kwa Zulu Natal, South Africa. Below is a passage taken from their website and I couldn't have said it any better. 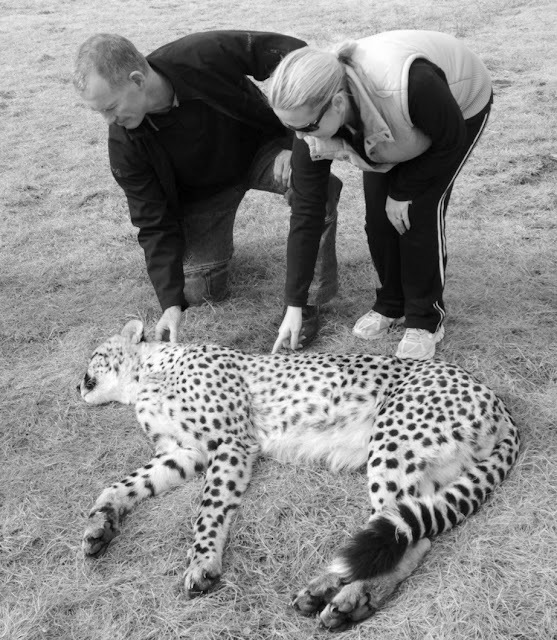 A truly life changing experience awaits you at the Kwa Cheetah Project. Meet our hand reared cubs and experience the ways they interact with people and each other. Get to understand their plight and amazing adaptations. 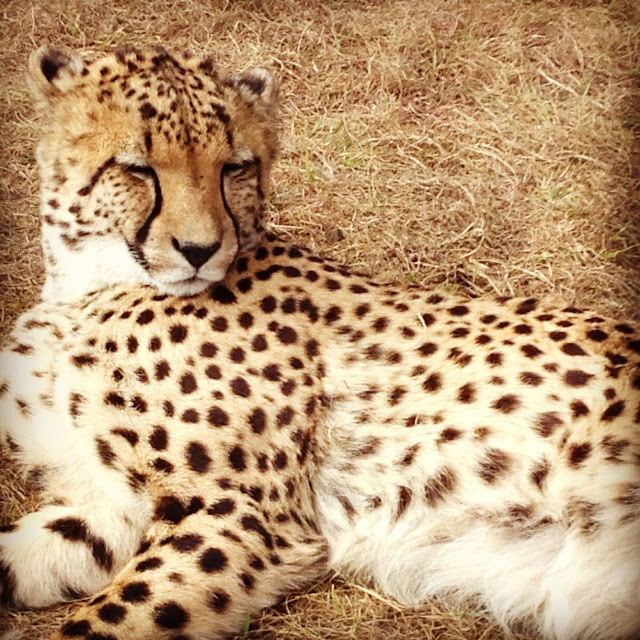 Spend time with our Cheetahs, Servals, Leopard and Caracals. An eye opening hands on interaction or thrilling walk with our cheetahs while they hunt will leave you in awe. 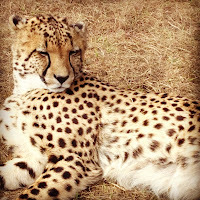 The tour starts off with an informative talk regarding some interesting and shocking statistics about Cheetahs, after which everyone gets the chance to touch, rub, brush and spend some quality time with the Cheetahs, Servals, Vega the handsome young Leopard, Caracals, and African wild cats.​​​ This very interactive tour lasts around 80 minutes and costs R200. What was so nice about this tour was that at no stage did we feel rushed and you certainly didn't get that feeling of it being a commercial, touristy, staged event, unlike a similar project in the Cape,where bus loads of overseas tourists pay a few hundred rands to have a 30 second interaction and photo taken! 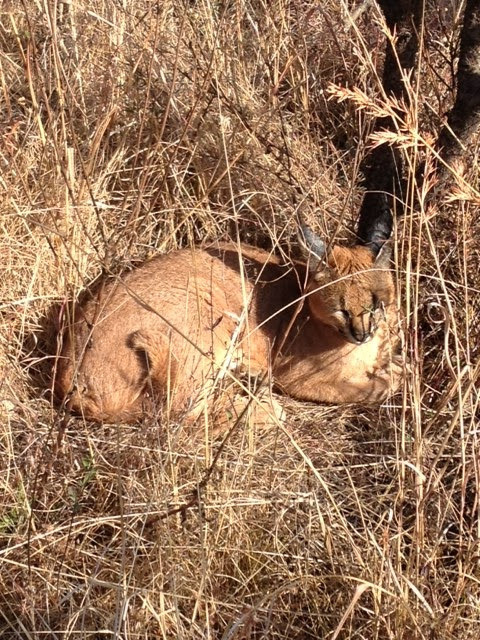 The passion for the conservation of these animals is very evident during the tour and something you may not be aware of.. 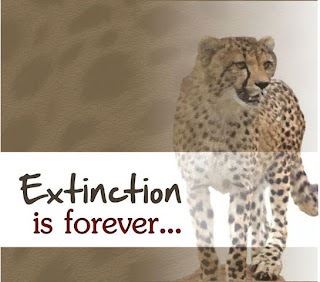 The Cheetah is nearer to extinction than the rhino! Lions, leopards, hyenas are the cause of countless deaths. 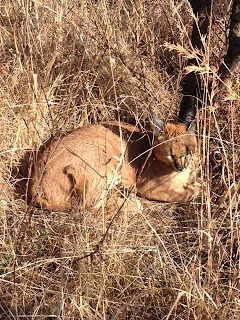 Cubs are also taken by martial eagles, baboons, jackals etc. This is a natural occurrence and is not too much of a concern as it has been ongoing for hundreds of years. We are destroying their natural habitat at an alarming rate, farmers do shoot free roaming cheetahs as they do tend to catch livestock. Mother cheetahs are killed so that the babies can be hand reared and sold on the black market. The biggest human threat to these cats is probably the trade in the east with skins, skulls and bones in high demand. This trade is as prolific as the trade in rhino horn. This is probably the biggest threat to cheetahs due to the fact that the world cheetah population was almost destroyed during the last ice age. Since then cheetahs have been interbreeding and today just about all the cheetahs worldwide are genetically related. This is causing huge problems for theses cats. Around 35% of all males born are born sterile, cubs are born with internal defects like liver, heart, kidney and lung defects, external defects like seven legs, no legs, and two heads. This is all a result of interbreeding. Due to the above mentioned problems, cheetahs in reserves need to be monitored carefully to stop family members interbreeding. ​​Cheetahs are not only beautiful but they are the world’s fastest land mammals. They can reach speeds of 120kmph and can get from ​0 to 100 kmph in only 2.9 sec. was a very special family experience and one that I highly recommend. 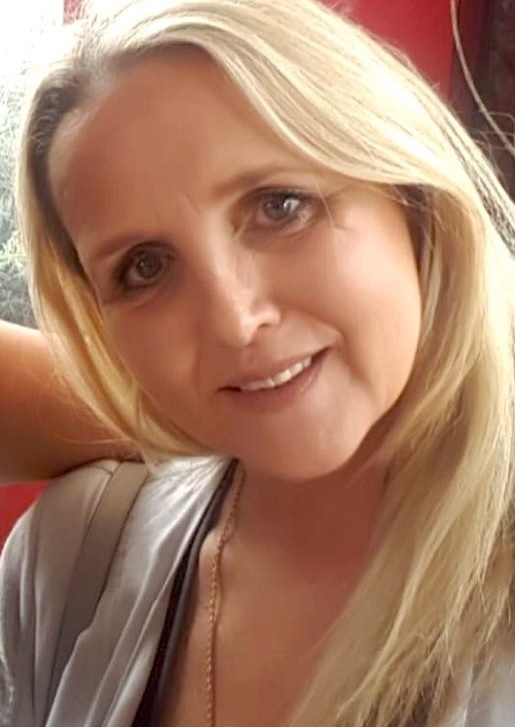 If you would like to show your support with a either visit or a donation then click on the link below.